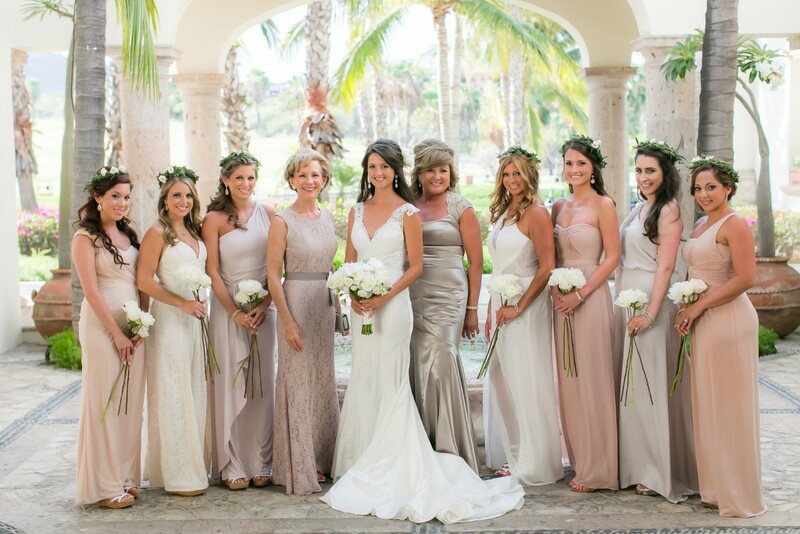 This week’s sweet Cabo wedding feature stars not just one beautiful bride in a perfect beach setting, but ten gorgeous ladies with breathtaking hair and make-up! 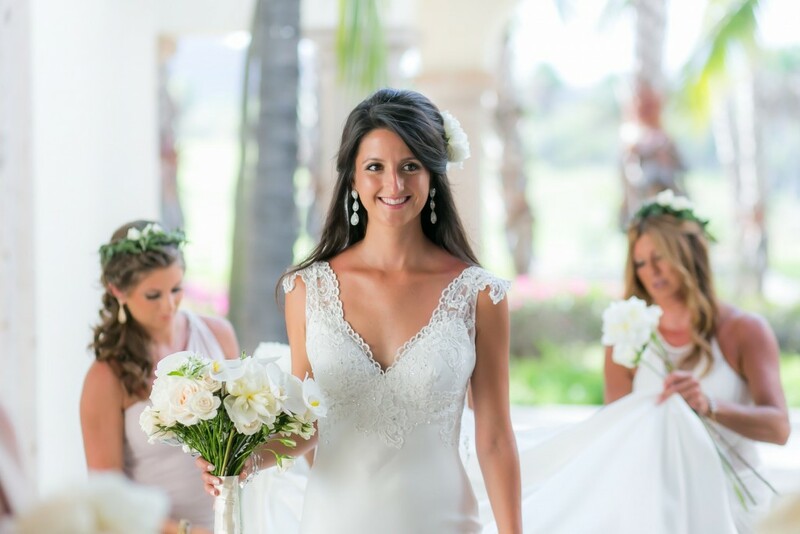 Bride Devyn got married this past July at Cabo del Sol. She wanted her 7 bridesmaids, her mother and the groom’s mother all to look their very best, and we were happy to do the honors with such a lovely group of women! The flower crowns added an extra touch of romance to this perfect beach affair. Floral headpieces are very much on-trend this upcoming wedding season, and our stylists are experts at working with all types of hair accessories and styles. 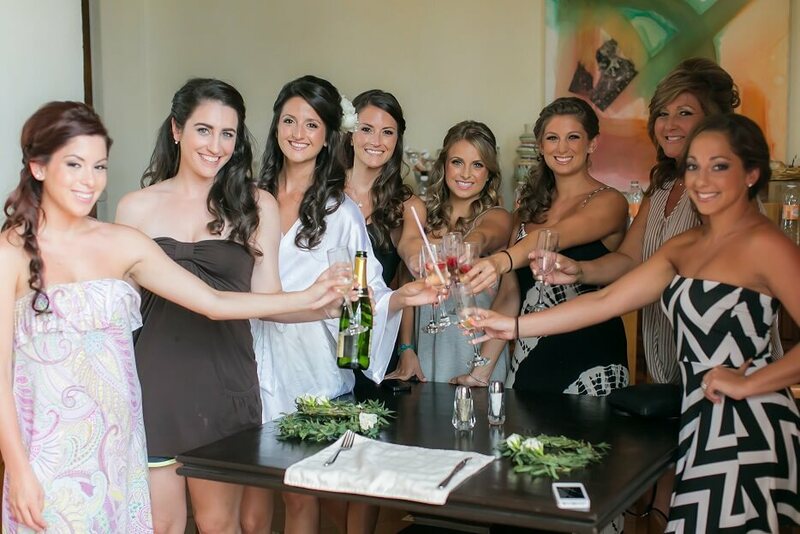 We love working with large bridal parties like Devyn’s! 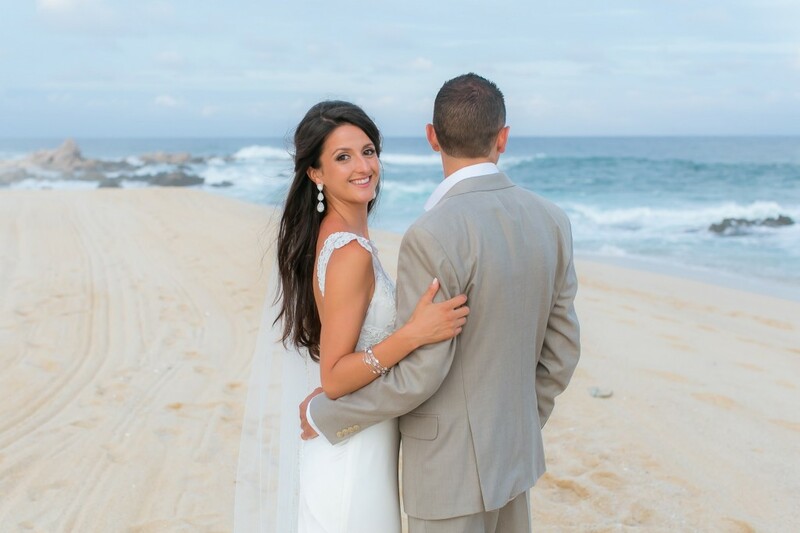 And we must send special thanks out to Martha at Signature Mexico for putting this beautiful wedding together. This entry was posted in Cabo Bridal Hair and Makeup and tagged beachy wedding hair, beachy wedding makeup, blush beach wedding, Cabo beach bride, Cabo beach wedding hair, Cabo bridal hair, Cabo bridal makeup, Cabo bridal stylist, Cabo mobile salon, Cabo wedding floral crown, Cabo wedding flower crown, destination wedding Cabo, lace wedding gown, large bridal party style, Mexico beach wedding, Signature Mexico, Suzanne Morel, wedding down do.